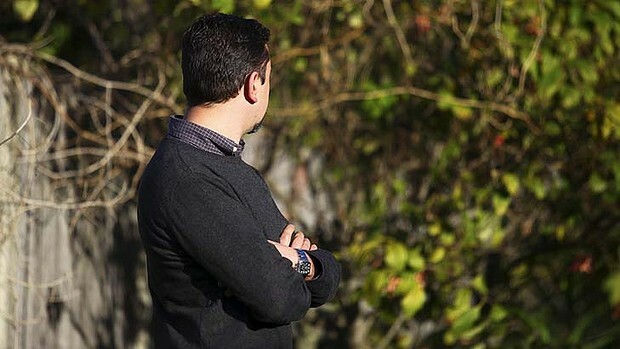 The Italian father embroiled in an international custody battle has left Australia after giving up hope he will win his legal fight to get his daughters back to Italy. The father – who cannot be identified for legal reasons – flew out of Australia on Friday morning without telling any of his local supporters he was leaving. He contacted them from a stopover in Abu Dhabi to tell them he had “had enough”, and was on his way back to Italy. The 35-year-old has been in Australia since May trying to engineer his daughters’ return to Italy. Born and raised there, the sisters, aged nine, 10, 13 and 15, were brought to Queensland by their Australian mother two years ago on the pretext of a holiday – and stayed. Supporters said the “very emotional and angry” father made the snap decision to abandon his fight for custody after his daughters made it clear on Wednesday they would resist any court orders to return them to Italy for a custody hearing. The Sun-Herald has been told the sisters said authorities would have to handcuff and drug them to get them on a plane to Italy and, once there, they would simply run away. The sisters went into hiding in May when the Family Court first ruled they must go back to Italy so courts there could settle the custody dispute in accordance with Australia’s obligations as a signatory to the Hague Child Abduction Convention. But the father despaired of this ever happening, after a Family Court judge agreed on Thursday to hear an appeal to dismiss his original order the girls be sent back to Italy. The application to discharge his ruling will be heard on September 27. The judge also ordered the girls be interviewed again by an independent consultant to ensure their wishes were understood, noting their desire to remain in Australia could have intensified since his first order was made. It is understood that the father has spent €120,000 ($142,000) on the custody fight and has been on unpaid leave from his job for months. Although he declined to comment on why he decided suddenly to leave Australia, supporters said he had grown increasingly frustrated with the way his former wife had used the Australian legal process to evade the Italian courts. The father has publicly accused the mother of playing “dirty tricks” to win custody. A spokesman for the father said he could not continue to fight for the children under circumstances that constantly thrust them into situations that were not in their best interests emotionally or psychologically. The spokesman also said Australia had little respect for the Hague Convention and international child abduction laws. The father said last month that he felt discriminated against because he was a man and not Australian. 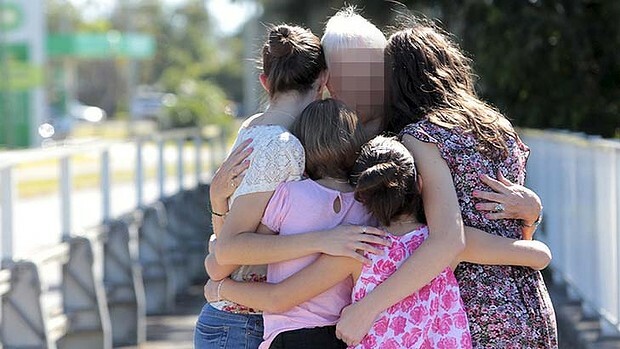 While the custody case dragged through the courts, the girls have been living with their mother and attending school on the Sunshine Coast. Their father had been granted regular access pending the final decision on whether the family must return to Italy. The girls hold dual Italian-Australian citizenship. Australia has now successfully trashed its reputation as an upholder and signatory to the Hague Convention on the Civil Aspects of International Child Abduction (the Abduction Convention). Why should any country now expect Australia to return other children to their “habitual residence” for their courts to decide where the children should live? A precedence has now been set. The father is right… the mother has used all the known dirty tricks to alienate the children during the two years they have in been in her sole care and that of her family, plus run him out of money to fight the case. Why have the Australian authorities not taken action against this mother for allegedly contravening court orders and perjury? Of course, we do know it’s not likely they ever will! To our knowledge and admitted to by the Attorney General’s representative Toni Pirani at a Senate hearing on 8th July 2011, into the Family Law (Family Violence) Bill “none” (either parent) have been prosecuted for the lies told in Australian family proceedings despite the undeniable harm caused. Ever noticed …where are the men in that family … no grandfathers, uncles, brothers or brothers-in-law? I am in the midst of a battle for my son since March 2011. I am an Ausstrlian born citizen with a cultural backround. My son is now almost 9 years old, I have not spent time alone with him since March 27th 2011. I had court orders for weekly visits provided by a Magistrate on Nov 7th 2011, who wanted my son to see me. An Independent Children’s lawyer also recommended visits. The mother – never complied and filed a stay of proceedings. The stay was refused. The mother still didn’t comply. The mother used the police AVO system to Attempt to have me shown in a negative light. The mother withdrew her appeal in the family court and proceeded to file false allegations of abuse. The family consultant met with us again and said the child is happy with his father again, but this time it was May 2012 and was concerned the relationship was deteriorating. She recommended the matter be expidited. The mother’s solicitor was granted funds by legal aid and making derogatory unethical remarks throughout the case, via email and in court. I am fighting (in essence) my own government to have my son back in my life. I filed a contravention for 24 counts against the mother. In July 2012, she was found guilty of contravening orders, but sentencing was adjourned pending the Court appointed EXPERTs report starting Aug 13 2012. The mother then attempted to have the orders stayed again. She immediately did not follow the orders and did not send my son for his visits. She has cut him off from his 8 young cousins and my entire family (12 adults included). In Aug 2012, I filed application of Contempt of court against the mother, to be heard in November following a first final Hearing Late October 2012. She took the child out of school and did not let him perform in school on this special event/ day… I was left there alone, and went to work after filing more documents on her lawyer. I am the voice of thousands, I am a father without his children thanks to the assistance of the LAW. How long can a parent simply refuse to send a child and head back to court without the LAW protecting our children? How can this mother have no fear of the repercussions of the LAW. In the US a breach means jail. In AUSTRALIA an breach means: ‘Haha’.